How can you get your cat to accept a new kitten? Is your cat unhappy about the arrival of a new kitten? Here's how you can get your cat to accept your new kitten. Sadly, there is absolutely no way that anyone can predict how long an aggressive reaction will last, or even if your older cat will ever become accustomed to the intruder. Because unfortunately, that's what the kitten is - a competitor for your current cats' territory, food, toys, resting places and your attention. Whether your cat will be able to adjust to the new circumstances will depend upon his personality and his experience of other cats. If your cat hasn't been used to living with others, he may find it very hard to cope with a new kitten. 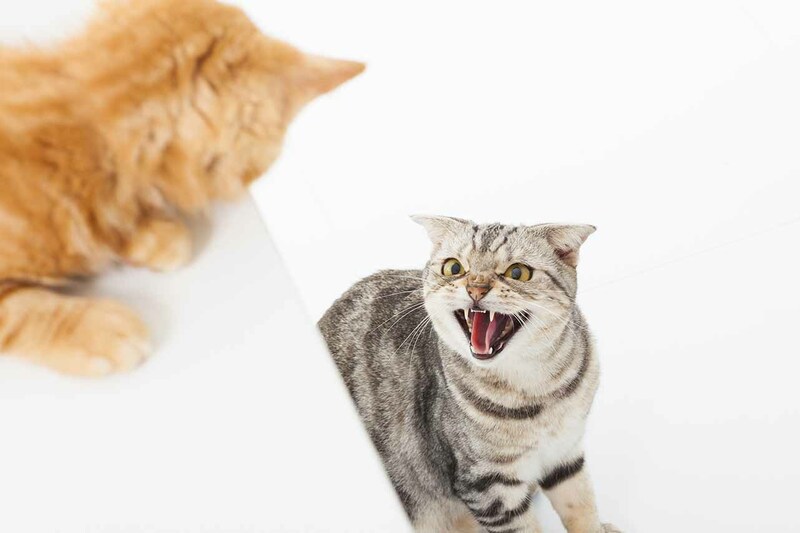 If your cat is continually lashing out at your new kitten, then the kitten's welfare will be undermined, and he may become submissive and try to avoid your cat at all costs. At this stage, it may be time to separate your cat and new kitten completely, giving the kitten a quiet sanctuary, and use a feline pheromone such as Feliway Friends to calm the atmosphere for both the cat and kitten. You can then try associating the kitten's scent with a very special food treat for the older cat, so he begins to get used to the kitten's scent, and doesn't associate it with a negative experience. Be sure to pay lots of attention to both of them individually, then supervise any sightings they have of each other. Get someone to help by either using a wire mesh or glass door, both play with each cat on opposite sides of the door so they are distracted in the presence of each other. Gradually get closer to the door, but take it very slowly, monitor reactions, go back a step or two if your cat gets aroused, and so on. Eventually, the cat may begin to feel more comfortable in the presence of your new kitten, and start to accept the kitten as a new member of the household. Read our tips on introducing a kitten to your cat, and continue to follow these steps in order to strengthen the relationship between the two. Although in some cases, unfortunately, you may have to face the fact that this relationship may not work. It will depend upon the individual cats, the amount of space you have, and whether you can work slowly enough for the older cat to adjust if he's able to. If this is the case it may be better to make other arrangements for the kitten, for both your cat and kitten's wellbeing.